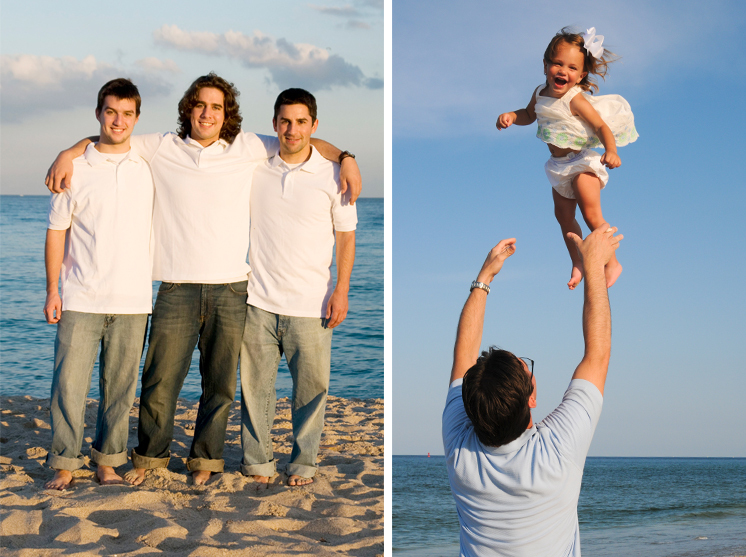 Book Your Singer Island, Florida Beach Portrait Today! 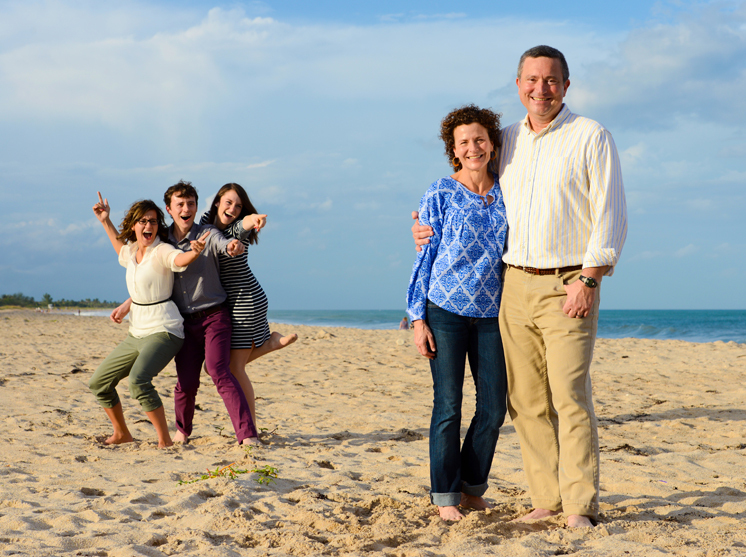 Top off your Florida vacation by booking a Beach Portrait! Your family will love looking back at pictures of their amazing trip with their great tans. They also make a unique card during the holidays to make all of your friends and family jealous! Session Prices start at $150.00! Click here for Portrait examples. Khaki or tan bottoms such as chino’s, skirts, and shorts with white tops are always a classic look. For a pop of color pair bright polo’s and tops with the khaki or tan bottoms for a vibrant portrait. Linen is a great beach alternative. Dressing your entire group in all neutrals and having accessories and accents of one color to tie everyone together makes a nice coordinated portrait. Any theme that shows off your family’s personality just make sure it is consistent throughout the group. Wear colors that you know look best on you and do not wash you out. Remember your back drop will always be blues, greens and the beautiful white sand! - This includes photo session time, photo editing, online viewing, downloading picks and shipping to one address. One 8x10 of your choice, 2 5x7s and 2 4x6 prints. This package is the portrait session only. You can buy the photos that you like from our secure online photo store on Zenfolio. This package starts at $150.00 for groups under 10 people, 10+ is $200.00 and 20 and up $225.00. This package includes the session, photo editing and online viewing. Session times are about 1-2 hours and are best in the morning at sunrise or a few hours before the sunset. We Service all Singer Island Beaches, The Palm Beaches and Delray Beach.